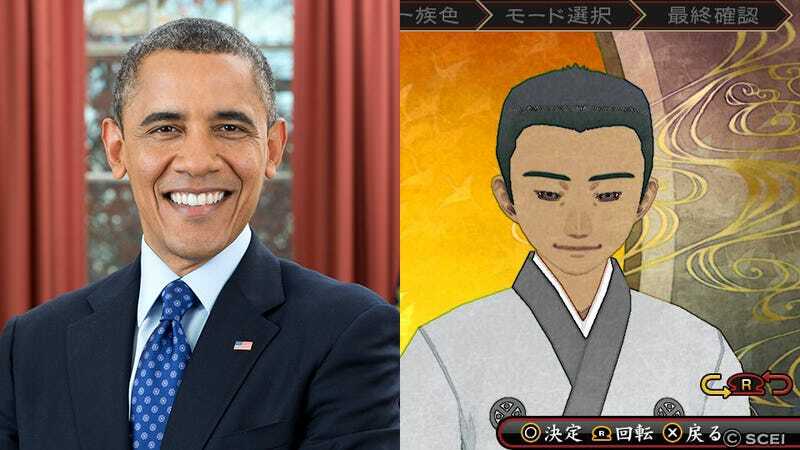 Much like the Miis on the Nintendo 3DS, the new JRPG Oreshika: Tainted Bloodlines allows you to create a character by taking a picture of yourself with the Vita's camera. Of course, why limit it to being based on your face when there are so many pictures of famous people out there? Thus, I picked a group of famous people to see how well the game was able to recreate their faces. Some turned out somewhat recognizable… others not so much. In fact, to be completely honest, I did help the game a bit by matching the eye/hair colors and hair styles manually after the fact (as it seemed to have problems distinguishing them correctly on its own). However, the faces are 100% computer generated and unaltered by me.